Lake Cook Audubon Society - What A Great Website! 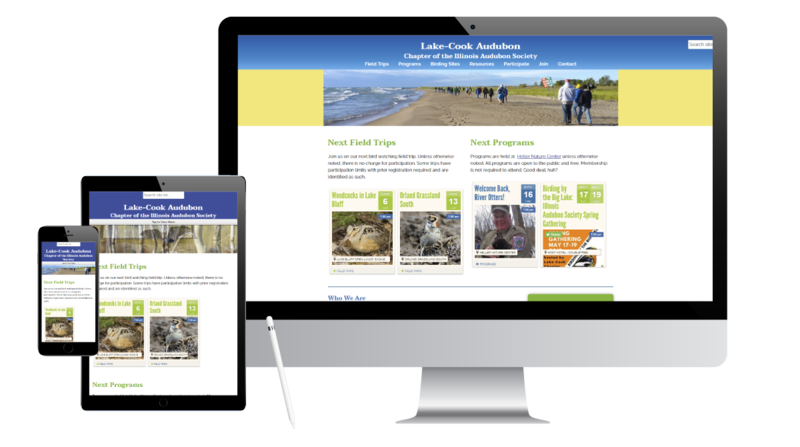 Lake Cook Audubon Society wanted a website primarily as a vehicle for members to find field trips and educational events. So functionality was the key requirement. The calendar is a WordPress plugin and a snap to update. Rather than just one calendar page, we gave them user-friendly options. Events are shown on the home page, field trips and programs pages. Feature images are narrow, leaving room for the calendar images to have the most impact. It’s shown in poster board mode which highlights each event with no dead space in between.